Living Sq. Ft. : 1847 s.f. Total Sq. Ft. : 2568 s.f. 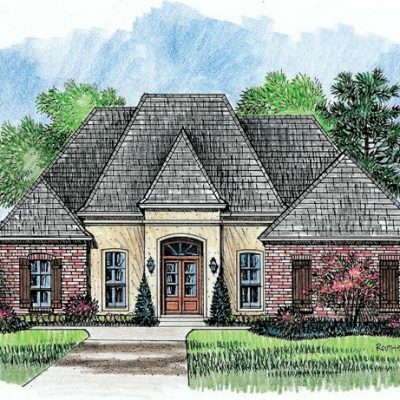 When you are looking for a zero lot garden style house plan with a front garage, under 2000 sq. 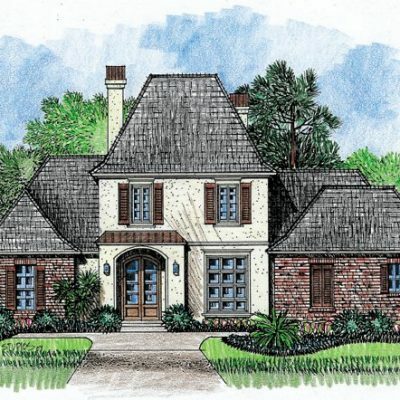 ft., and some country French styling, this house plan is sure to fit the bill. 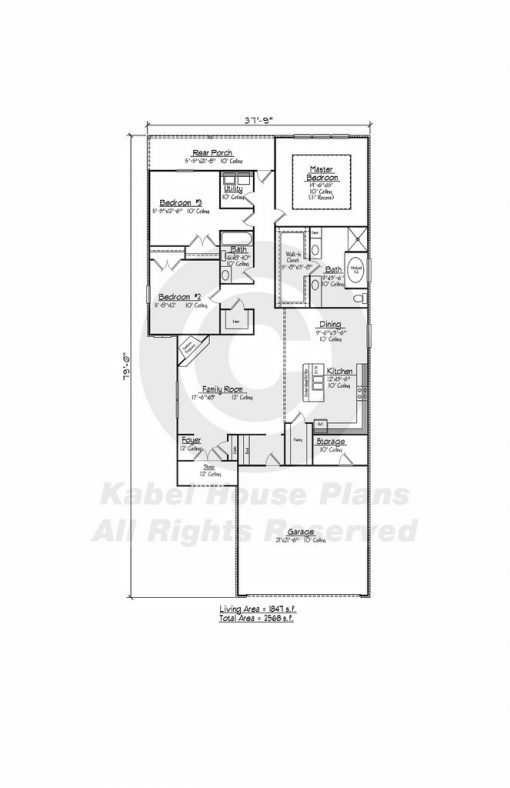 The floor plan for this house allows for the space to explode with size. When you enter, you are greeted in the Foyer with a coat closet. 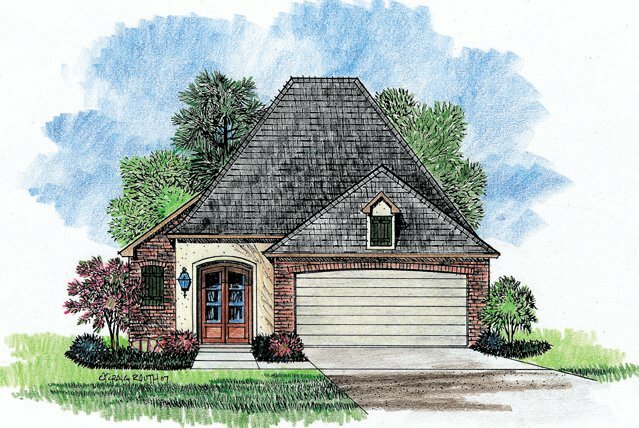 Enter into the family room with soaring 12’ ceilings and an elegant corner fireplace. The family room is open to the dining room and kitchen. 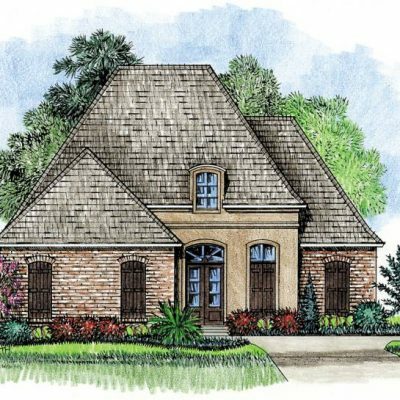 The cook of the family will find that this kitchen is quite up to the demands of a southern Louisiana chef, because it features a large center island with a sink, plenty of counter top to work with, and a walk in pantry. The master bedroom is also impressive with a recessed ceiling and three windows that look out the back of your lot. 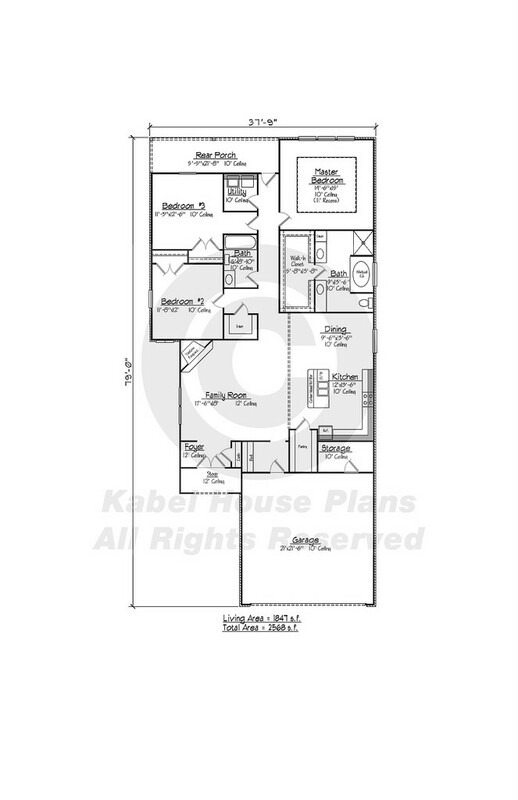 You will also find a bit of privacy in the master, because it is on the opposite side of the house from the other two bedrooms. Your master bath features a whirlpool tub to soak in after a long day and a large walk in closet. The other two bedrooms share a bath and are well sized. Outback, you will find the rear porch is a great place to catch the evening breeze. 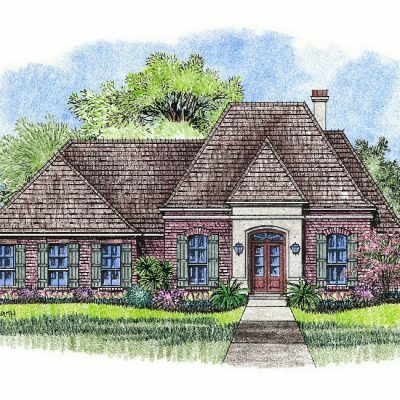 This is a zero lot garden home plan with country French styles that you will want to call home.